Photograph of The Humber Bridge. The bridge was completed in 1981 and carries more than 6,000,000 vehicles per year. 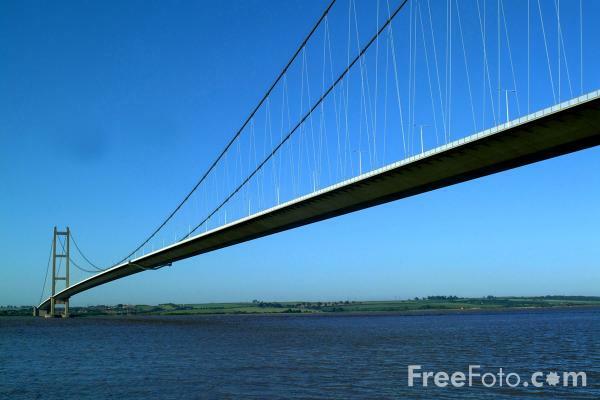 The Humber Bridge is the fourth-largest single-span suspension bridge in the world, near Kingston upon Hull in England. VIEW: More images from the category The Humber Bridge or taken at the same location or around the same time .